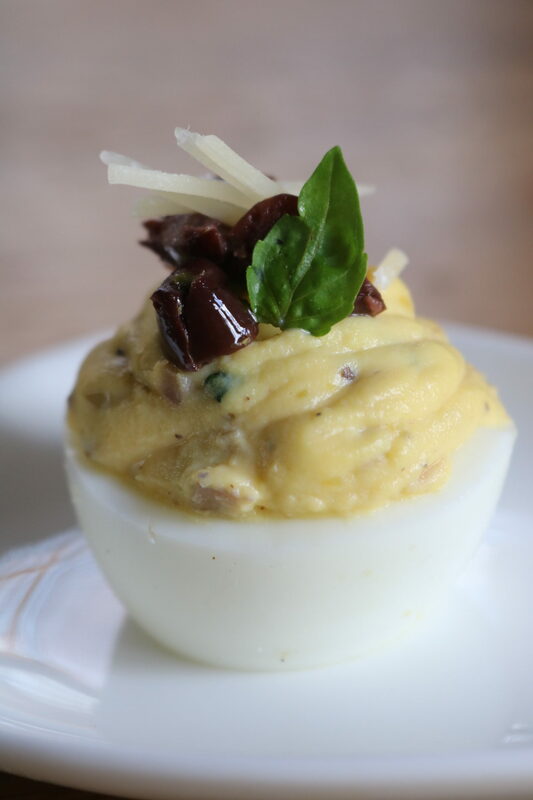 The devil is really in the details… making the perfect deviled eggs is a science for APWU and luckily we’ve shared that science with you… try our Mediterranean Deviled Eggs and enjoy! Place eggs in a pot (single layer) and cover with water and bring to a boil. Turn off heat and cover with lid for 12 minutes. Remove eggs, crack one at a time and start to peel under cool running water. Gently dry them with a paper towel, then slice in half. Remove the yolks and place whites on a large serving platter. Add the yolks, mayonnaise, basil leaves, dijon mustard, minced olives, white balsamic, olive oil, lemon juice and Parmesan cheese to a medium sized mixing bowl. Mix on high with hand mixer until smooth. Taste for seasoning, add salt and pepper to taste. Scoop into a piping bag with a tip of your choosing (we used a star tip). 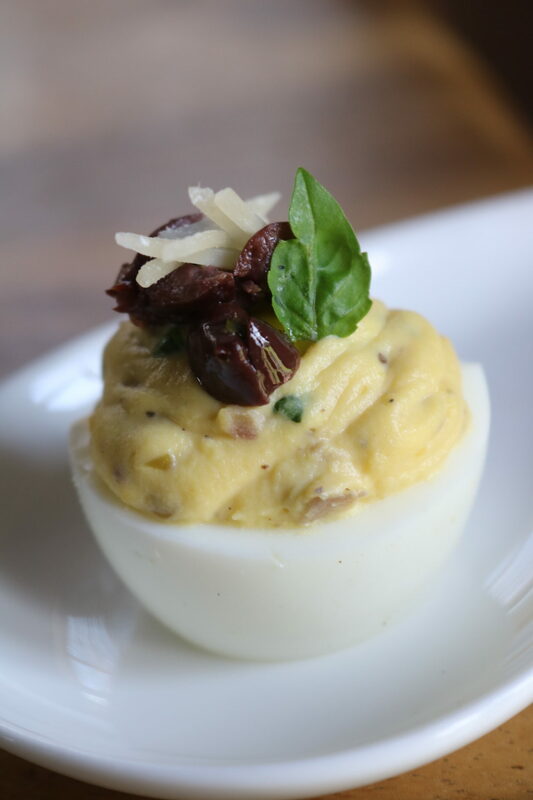 Pipe into egg whites and garnish with minced olives, and freshly shredded Parmesan cheese. For an extra kick, garnish with a few red pepper flakes. Enjoy!